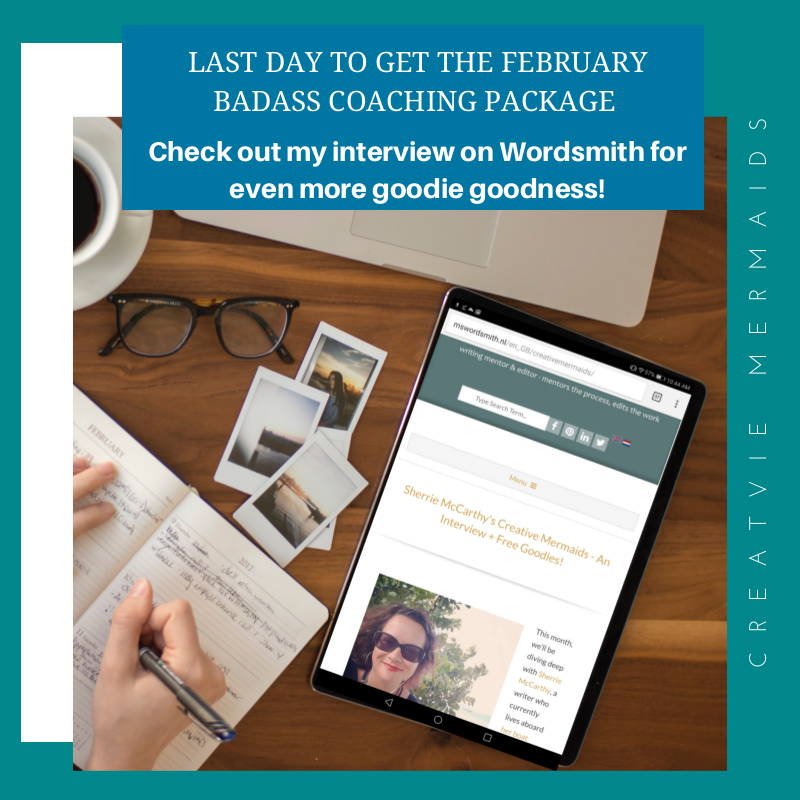 Last Day For February Badass Bundle! Today’s the last day to get the badass February bundle special! And if you are not sure if we are a match, then check out any one or all of these two taste tests! If reading is your jam check out my interview with the amazing Mariella on her Wordsmith site. Or you can listen to my interview with the fantabolous (yes, thats a word!) Samantha Parker here on the Badassery magazine website. Find out all about the messy middle in my session from The Creative & Vibrant Living Virtual Retreat. The session is free for free, as in no credit card required for sign up truly free! Grab a journal on Kindle Unlimited if you have it! 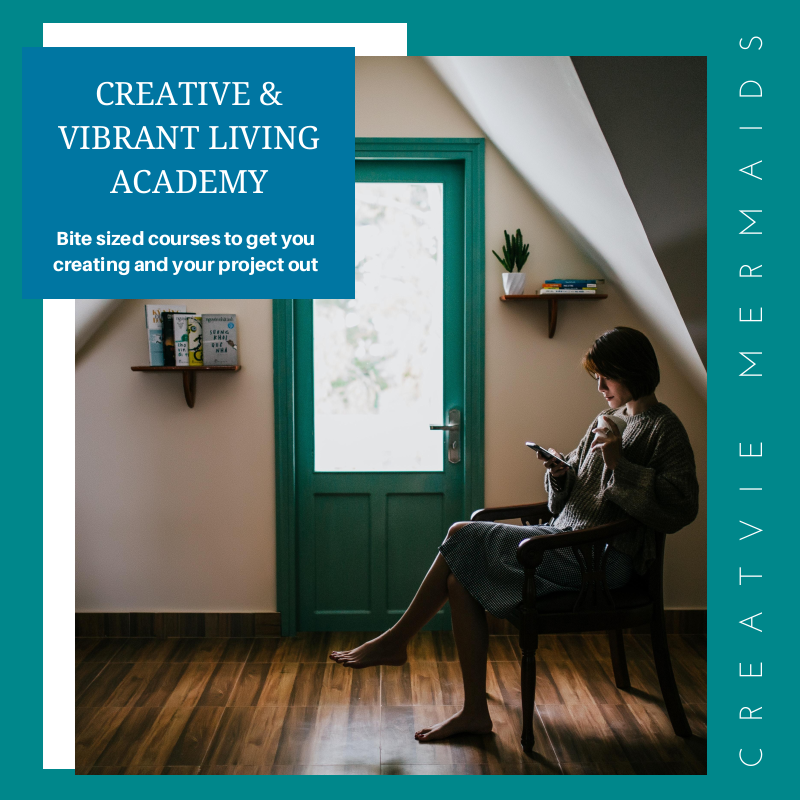 The First Dive that helps you start to build out the questions you need to ask yourself or the Mama Creative First Dive, specifically for mamas! And if you read this far I have a secret for you! Maybe you are on the fence. So don’t be! advantage of the freebie codes she has! They are only good until the end of April, and you can get the Bye Bye Writer’s Block course for free and get a code for half off of any of my courses: including my coaching! And this is what the coaching is about! This is the coaching I wish I had had when I started out. Even though most people assume I am an extrovert because I can bubble over with passion, it is that very passion that leaves me terrified of set phone times. Although the internet has allowed us this amazing place to connect anywhere in the world in real time, the very thought of internet failure or a time zone fail had me refusing to offer my services for a long time. And yet I felt the call to help people through their messy middles. That not enough people talk about what happens in that phase. Too many focus on the spectacular results of caterpillar and the butterfly, and then too many people feel that when the dissolving is too much they have failed themselves. I want to talk more about that. I want you to know that is where the wisdom is. That is where you are wrapped in a cocoon, even if you yourself do not know it at the time. I once read a great quote, if it isn’t ok it isn’t over. I want to help you through that, and get you creating again. At your time when you need it. You express what you want to share. And I give you my reply back with your homework. This is not for people who want to cure just simple writer’s block. I am not going to give 101 prompts to fight your block. This is life and making creativity the center of it. And since I really do not want money to ever be a factor, and you really can not afford it then do me and you a huge favor. Jump on Kindle Unlimited and get my journals for free. And if you do not have KU, these journals are never more than 4.99 in ebook form. And I often have the need of reviewers to review them for free. So email me and ask! I have your back either way! « Badassery Magazine Interview! Messy Middles & Living On A Sailboat!